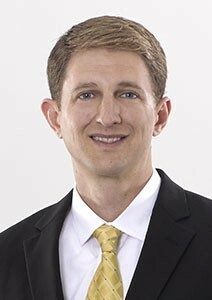 Doctor Jonathan Lee Weyer earned his Bachelor of Science degree from Indiana University, then went on to obtain his Medical Degree from Indiana University School of Medicine. He completed his Ophthalmology Residency at Indiana University, and has his Indiana State Medical License. He received the Indiana University Ophthalmology Residency Research Award in 2011 and in 2012, and he is part of one of the highest ranked LASIK teams in Evansville, Indiana. Doctor Weyer is also a part of the American and Indiana Academies of Ophthalmology, the American Society of Cataract and Refractive Surgery, and the International Society of Refractive Surgery. He is also a staff member at both Deaconess and St. Mary’s Hospitals. He joined The Vision Care Center in 2012, and has accumulated six years of experience in the vision care industry. Doctor Weyer specializes in comprehensive ophthalmology with an interest in cataracts, refractive surgery, oculoplastics, pediatrics, glaucoma and medical retina. When he was in high school, Jonathan Weyer developed a genuine interest in vision and optics after shadowing a couple of different optometrists. It was then that he knew he wanted to save patients’ vision, whether they required surgery or other, non-surgical treatments.